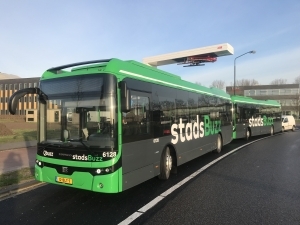 RATP announced today a framework agreement for a potential amount of up to 800 electric buses to be delivered in the period 2019 – 2024. 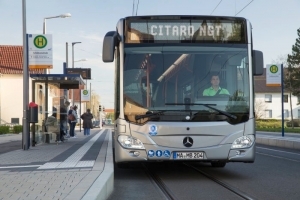 The buses (12-meter) will be supplied by Heuliez, Bollorè and Alstom, following a call for tender worth up to 400 million euros. According to this framework agreement, each manufacturer has been awarded with a lot of up to 133 million euros. The shares of the three winners of the tender will be equal. A total of around ten manufacturers presented their bids to RATP’s tender, including BYD and Yutong. 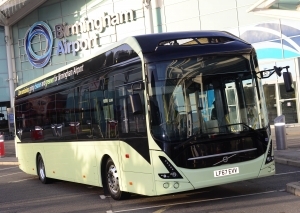 A new large electric bus procurement procedure will soon been launched, the operator said in a statement. 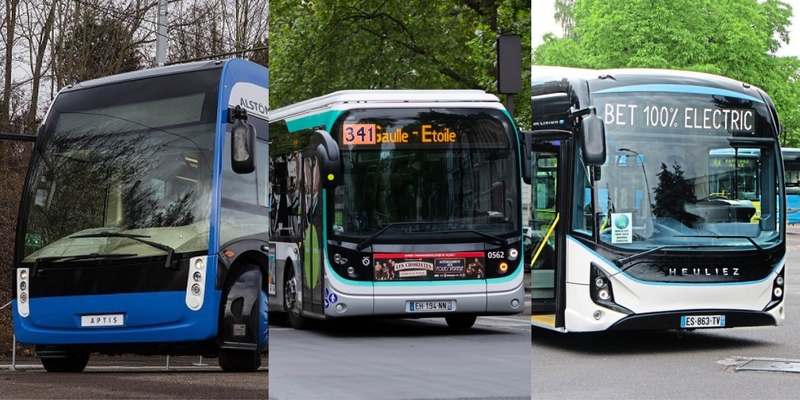 The first electric bus order by RATP will be for as many as 150 electric buses (50 for each manufacturer), the public transport company points out, with deliveries scheduled between the end of 2020 and 2022. 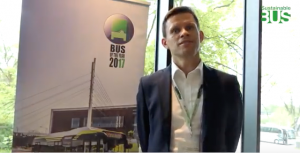 Paris set the goal of a clean bus fleet by 2025: to that date, 2/3 of the buses are expected to be electrically powered, 1/3 biogas powered, RATP underlines in a press release. Financed by Ile-de-France Mobilités, the transport authority in the capital region, the tender was technically and legally managed by RATP. According to the framework agreement (that has a lifespan of 2 years), each of the three awarded companies will provide buses for up to 133 million euros. 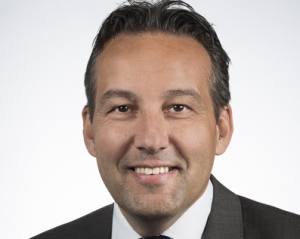 RATP’s firm order covers 200 vehicles. 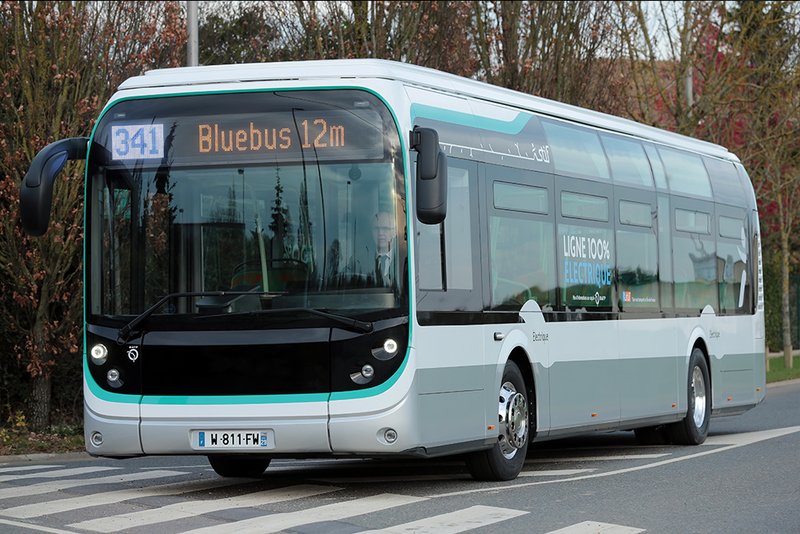 So far, the Brittany-based company Bolloré has provided the largest part of RATP’s currently operating electric buses. Around 45 Bluebus’ units already operate on line 341, plus several other lines. A first batch of charging infrastructures in Paris will be provided by the Polish consortium Ekoenergetyka-Polska and El-Cab. Just a few days ago RATP presented its first Heuliez electric buses. The 12-meter bus is called GX 337 Elec, was shown by Heuliez at Iveco diesel-free stand at IAA 2018 and is equipped with a 120/195 KW electric motor and with 360 KWh Lithium-ion NMC batteries divided into 8 packs. Six of them are settled on the roof, and two in the tailgate. This model is designed for all-day-use, with night time recharging at the depot in a few hours. 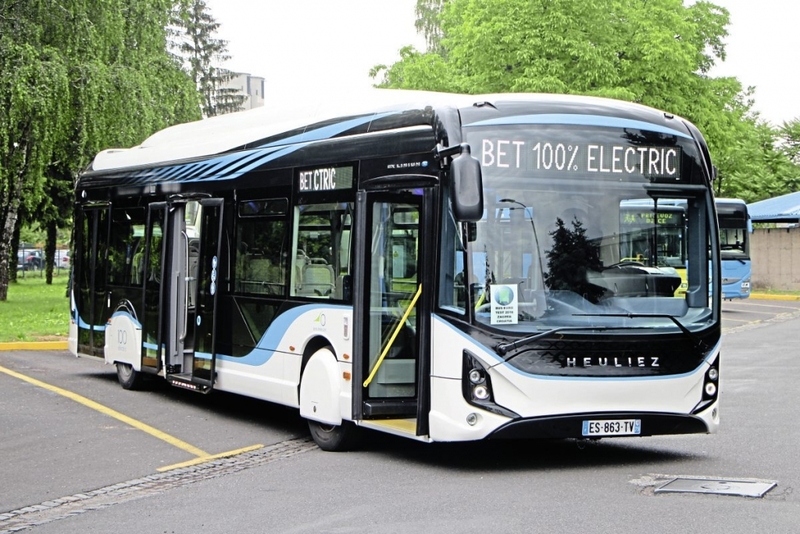 Heuliez Bus uses batteries made by Forsee Power, a French company (their batteries have been adopted also by Alstom for its electric bus Aptis). 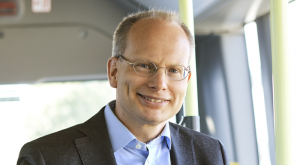 Alstom will be the real newcomer in the list of RATP bus providers. The French giant will thus supply not only trams but also the Aptis. The very first order for the vehicle was recently signed by CTS (Communauté des Transports Strasbourgeois), that purchased 12 Aptis. They’ll be also the first electric buses in CTS’s fleet. 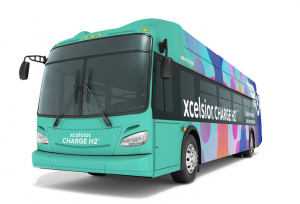 Serial production of the electric bus is expected to begin this summer. 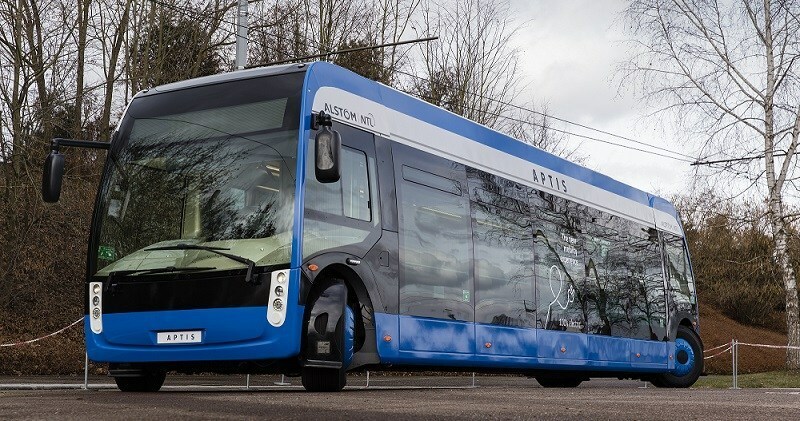 The zero emission bus Alstom Aptis prides itself to be the first bus ever developed by Alstom, mostly known for trains and tramways. 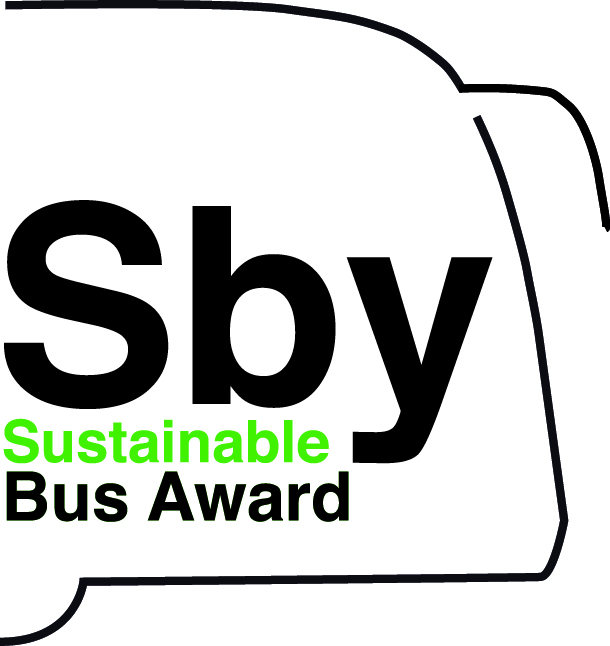 It’s one of the few electric buses not derived from diesel models. 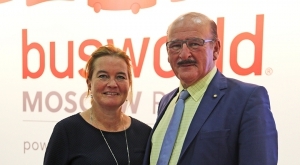 The vehicle, which has been co-developed by Alstom and NTL, won the Innovation Prize at Busworld 2017 in Kortrijk. Aptis is easily accessible for wheelchairs and it features a 20 percent more window surfaces than a conventional bus. The interiors ends, at rear, with a lounge area. The two steerable axles make turning radius and the footprint on the road up to -25% compared to a conventional bus, according to Alstom.